MADISON, Wis. (June 8, 2105) –– TDS Telecommunications Corp. (TDS®) Voice over Internet Protocol (VoIP) phone service, managedIP is reliable, flexible, mobile, and as of today, more available than ever before. 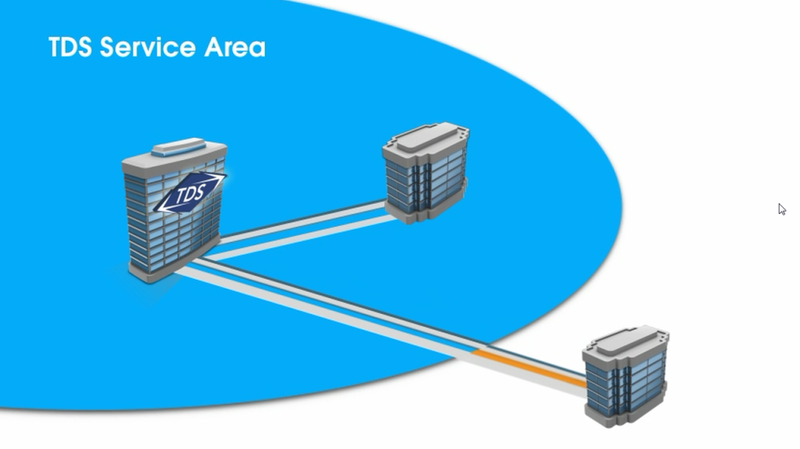 Today, that work is paying off with the launch of TDS’ expanded multi-location service, which allows the company to offer businesses with offices inside and outside of TDS’ territory managedIP Hosted and trunking services. One office does need to be in TDS’ footprint. If you’re interested in learning more about managedIP Hosted or trunking services, visit www.tdsvoip.com or call 1-866-448-0071. TDS Telecommunications Corp. (TDS®), a wholly owned subsidiary of Telephone and Data Systems, Inc., is the seventh largest local exchange telephone company in the U.S and a growing force in the cable industry. TDS provides 1.2 million connections to high-speed Internet, phone, and TV entertainment services in more than 150 rural, suburban, and metropolitan communities. For residential customers, TDS deploys 1Gig Internet access, IPTV service, cable TV options, and traditional wireline services. The company offers businesses advanced solutions, including: VoIP (managedIP Hosted voice), high-speed Internet, fiber optics, data networking, and hosted-managed services. Visit www.tdstelecom.com or tdsbusiness.com. TDS Telecommunications Corp., headquartered in Madison, Wis., operates OneNeck IT Solutions LLC, TDS Baja Broadband LLC, and BendBroadband. Combined, the company employs more than 3,300 people. Telephone and Data Systems, Inc., a Fortune 1000TM company, provides wireless; wireline and cable broadband, TV and voice; and hosted and managed services to approximately six million customers nationwide through its business units, U.S. Cellular, TDS Telecommunications, OneNeck® IT Solutions, and BendBroadband. Founded in 1969 and headquartered in Chicago, Telephone and Data Systems employs 10,600 people. Visit tdsinc.com. What are you laughing at? And why?